“Music for Farms” is an international initiative which works to revive and sustain local organic agriculture and farming communities through the arts. 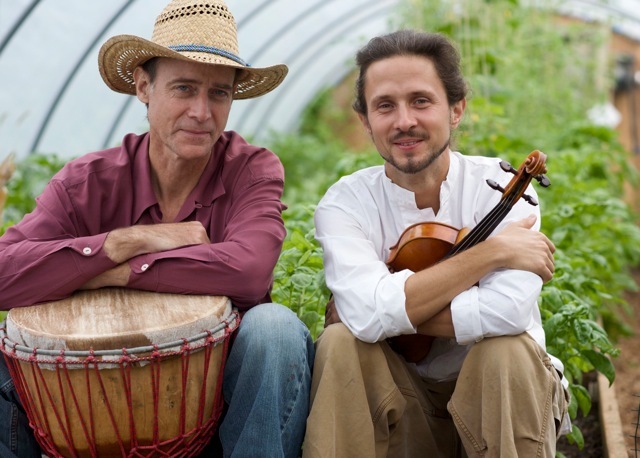 Founded and conceptualized in New York and Canada by musicians and farmers John McDowell (piano, percussion) and Emmanuel Vukovich (violin), Music for Farms tours venues and farms performing traditional classical music as well as original compositions and world music arrangements. All proceeds for these concerts will help local farms especially those who were affected by tropical storm Irene.